In a letter to Acting Defense Secretary Patrick Shanahan, lawmakers point out New Mexico is home to dozens of space-focused government and private sector organizations. WASHINGTON — The members of the congressional delegation from New Mexico are asking Acting Defense Secretary Patrick Shanahan to locate elements of the new Space Development Agency in that state so it can collaborate with a large community of space research organizations that are based there. “As you stand up the SDA, we urge you and other senior leaders to look to the state of New Mexico as a host for co-locating the agency headquarters and to be your lead entities for implementing the space R&D policies you directed,” lawmakers wrote in a March 18 letter addressed to Shanahan. 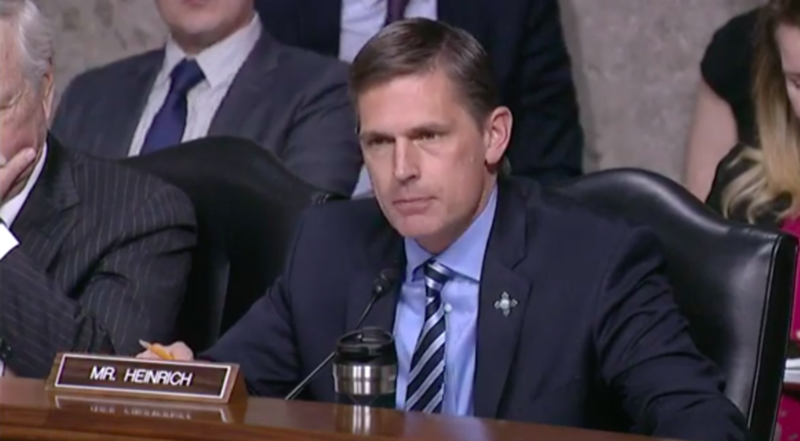 The letter was signed by Sen. Martin Heinrich, who is Ranking Member of the Senate Armed Services Committee’s Strategic Forces Subcommittee, as well as Sen. Tom Udall, Rep. Xochitl Torres Small, Rep. Debra Haaland and Rep. Ben Ray Lujan. Copies of the letter also were sent to Undersecretary of Defense for Research and Engineering Michael Griffin, Air Force Secretary Heather Wilson, Space Development Agency Director Fred Kennedy and the commander of Air Force Space Command Gen. John Raymond. The letter points out that New Mexico is home to two National Nuclear Security Administration laboratories, the Space and Missile Systems Center’s Advanced Systems and Development Directorate, the Air Force Research Laboratory’s Space Vehicles Directorate, the Space Test Program, the White Sands Missile Range, Spaceport America, the Starfire Optical Range and the Space Rapid Capabilities Office. “The Space RCO, in particular, provides the Department with a tremendous opportunity to utilize the office’s unique acquisition authorities to develop and transition space systems quickly towards a more disaggregated space architecture,” says the letter. Coincidentally, Air Force Secretary Heather Wilson, who represented New Mexico when she served in Congress, in a September memo to Shanahan recommended that the Space Development Agency be co-located with the Space RCO at Kirtland Air Force Base. Her suggestion was rejected by Shanahan and Griffin who believed the SDA should be in the Pentagon and should not be like a traditional military procurement organization. Shanahan pushed back on the idea that the Space Development Agency is simply a reorganization. “The number one element of the Space Development Agency that we need to take advantage of is large-scale systems engineering,” he said. “There is incredible technology in the Air Force. We don’t lack talent, that is not our issue. We don’t lack for money.” But the problem is that many overlapping projects today are being pursued across DoD, he explained, which drives up cost and slows down the pace of innovation. The Space Development Agency would seek to consolidate duplicative efforts.